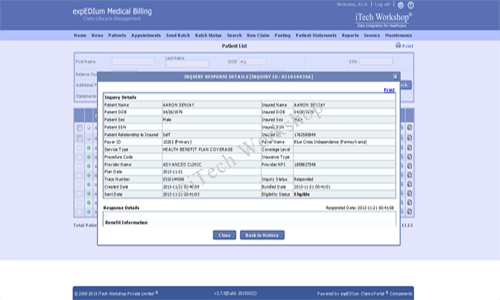 The expEDIum Medical Billing Software is a comprehensive Web based Medical Billing and Revenue Cycle Management Software. This solution is currently used by over 1000 providers across USA. Solution makes users more efficient in managing practices, reduces cost, reduces denials & rejections and increases payment collections. The expEDIum Medical Billing Software is HIPAA compliant and supports both HCFA-1500 and UB-04 electronic and paper claims. 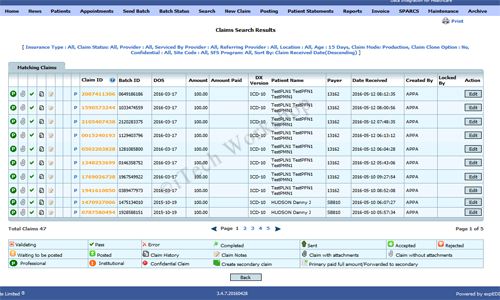 Solution has a robust feature to handle secondary claims. This Cloud based solution is available at affordable monthly based subscription. 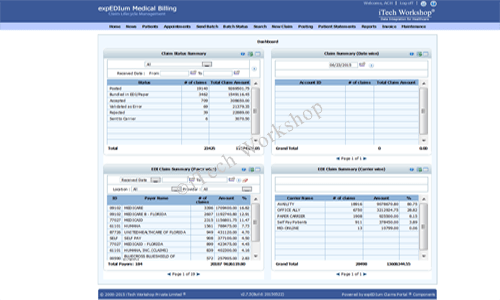 expEDIum Revenue Cycle Management (RCM) services can be bundled with expEDIum Medical Billing Software. Our dashboard shows 4 dash-lets from 30+ dash-lets in the system and its customizable. Any users can customize/select own dash-lets and also a Practice Administrator can customize dashboards for any users in the system. 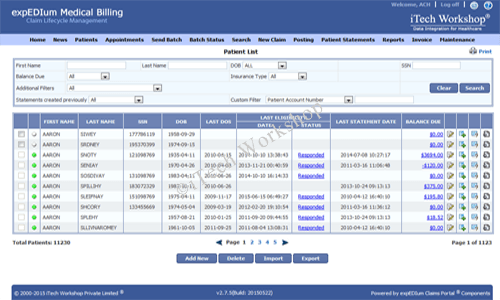 We have patient database available in the system. User can add one patient at a time or import a list from CSV/Excel files. Several filters are available and additionally users can perform real time insurance eligibility verification, add patient level manual transactions, creating patient statements can be done. 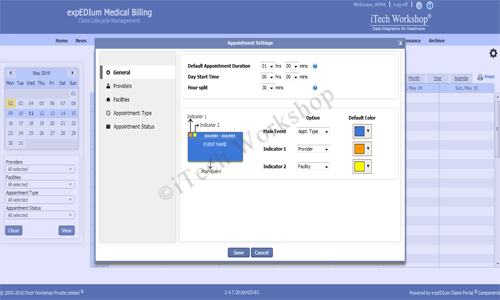 The expEDIum Medical Billing Software has a robust appointment scheduling feature. This module is easy to use, users can add, edit, re-schedule and schedule any recurring appointments. It has a Timeline, Unit, Daily, Weekly, Monthly, Yearly, Agenda views, Color codes, Insurance eligibility check, and setting-up different timing can be done at various level. 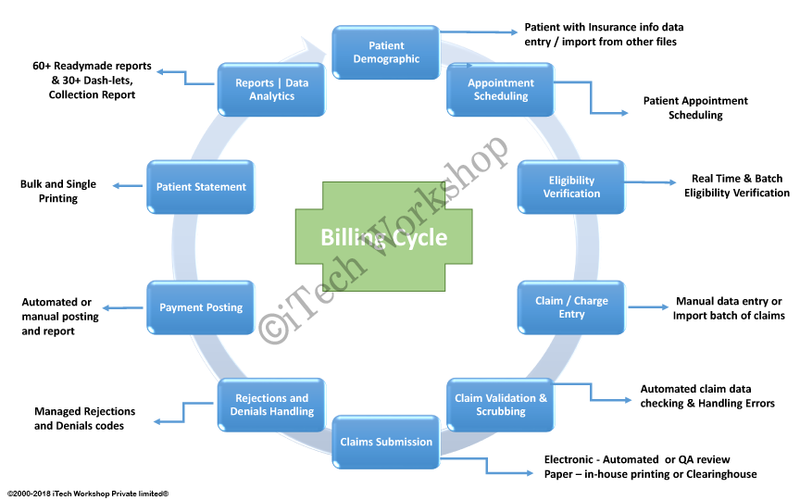 Software seamlessly support both real-time and batch insurance eligibility verification features. The history of eligibility transactions are recorded at patient level and hence users can see the history of the transactions at any given point of time. 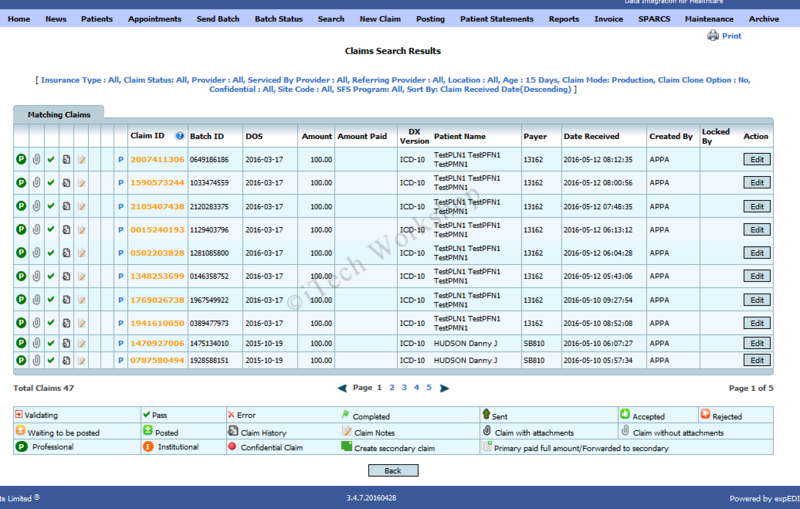 We have several filters available on claims search screens. 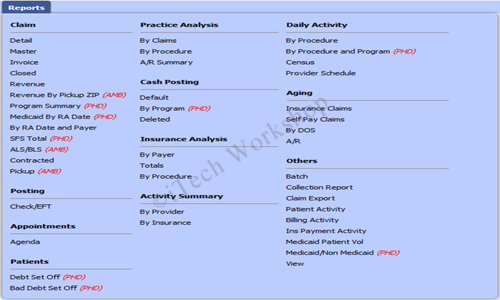 Claims can be filtered by specific Codes, Payer, Doctors, Locations, Date, Patient name, DOB, Status (Accepted, Rejected, Denied, Errored, Paid, Unpaid etc). So, users can find the status of a claim at any given point of time. 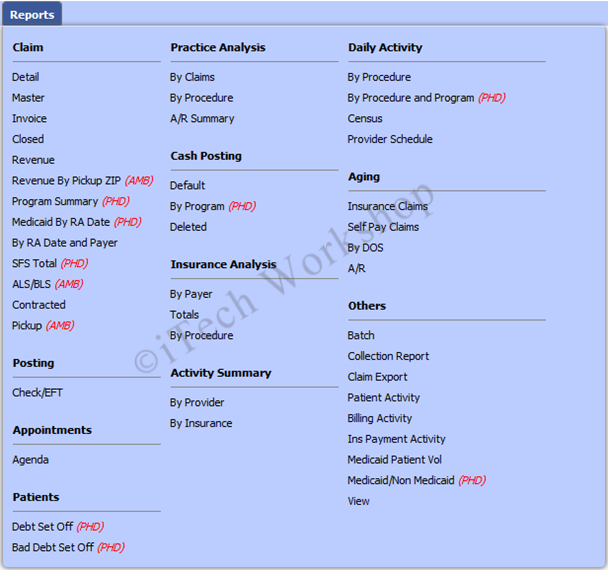 Our software has 60+ readymade reports and we keep adding more reports. We have report summary document and can share on request. Patrick Yancey,CEO, Kansas Health Solutions, Inc.
iTech Workshop® Pvt Ltd © 2019. All Rights Reserved.